Have you been thinking about starting a great profession? 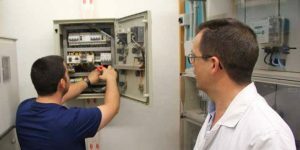 Our Electricity courses in Valencia will provide you with the needed and regulated training to learn the profession, become an Electrical Installer or specialise yourself. In Instituto INTER we have a wide range of courses that will turn you into a Professional with the Official Certificate. From Private Courses to learn the profession to VET; in on-site mode or through online courses, contact us and we will help you to choose the best option for you! 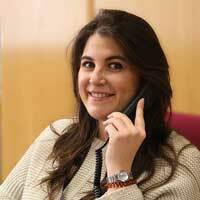 Our team of teachers and tutors is composed of professionals and technicians from the sector who can clear your mind. Do not forget that if you do not live in Valencia or you are unable to come to our centre, you can choose an online learning. This modality will allow you to train where and when you can, you will take your own rhythm and advance according to your availability! Moreover, in any of the modalities in which you enrol, you will have access to our Official Employment Agency. We publish weekly job offers and we care about guaranteeing support in your active job searching. Nowadays, electricity is the source of energy that determines and completes a large part of our activity as a society. In fact, it is difficult to conceive our daily activities without it. Therefore, the figure of the electrician is highly valued and consequently well paid. Any Electricity Course will open a world of job opportunities. Keep reading and discover why you should decide to study a Course or Electrician VET. What professional opportunities await you? There are many specific professional opportunities that will allow you to achieve this type of training. We introduce some of them! Electrician Installer in Residential Buildings. Telecommunications installer in residential buildings. Installer-maintainer of telephone equipment and installations. Installer of photovoltaic solar energy installations. Course in Electrical Installer in Buildings (on-site and on-line). 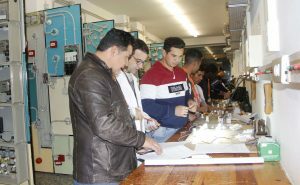 Industrial Electricity Practical Course (on-site). Practical Course in Industrial Networks (on-site). Official Course in Low Voltage Electrician Installer (on-site). Practical Course in Electrician Installer (on-site). Intermediate VET Electrical and Automatic Installations (on-site, semi-attendance and on-line). 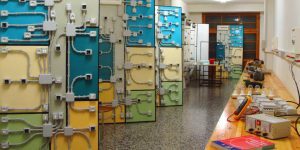 Why do your Electrical Installer Course at Instituto INTER? Our Institute has been training professionals and technicians in different fields for over forty years. Our trajectory as a qualified Vocational Training Centre has led us to become agents of labor intermediation between job seekers and companies that offer vacancies and we have an Official Employment Agency for this. Moreover, we are approved by La Generalitat Valenciana and SERVEF. This allows us to know first-hand the needs of the market and adapt to the real context. Our syllabus updated and revised, year after year, to provide our students with the latest training. What are our great strengths? We have several workshops where you can learn by practicing. We have on-line training in private courses and VET. We focus on theoretical and practical lessons to train you as a professional, no more subjects! The average duration of our courses is from 6 to 9 months. We have schedules adjusted to different needs, you can choose between morning classes, or afternoons. We even offer you the option of attending only on Saturday morning..
Once you have completed your course, you will receive a diploma with professional validity that will accredit you as a specialised technician. Do not hesitate to ask us if you have any questions about how to complete your enrolment in our Electricity Courses in Valencia. If you decide to take the step towards a better future, we will be waiting for you!